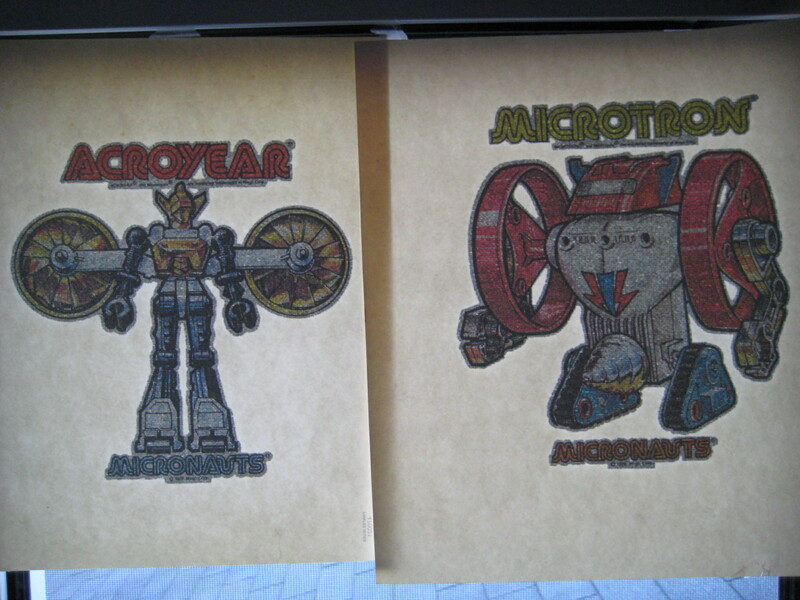 Emperor and Megas were among the last original Micronauts produced, and they are beauties. 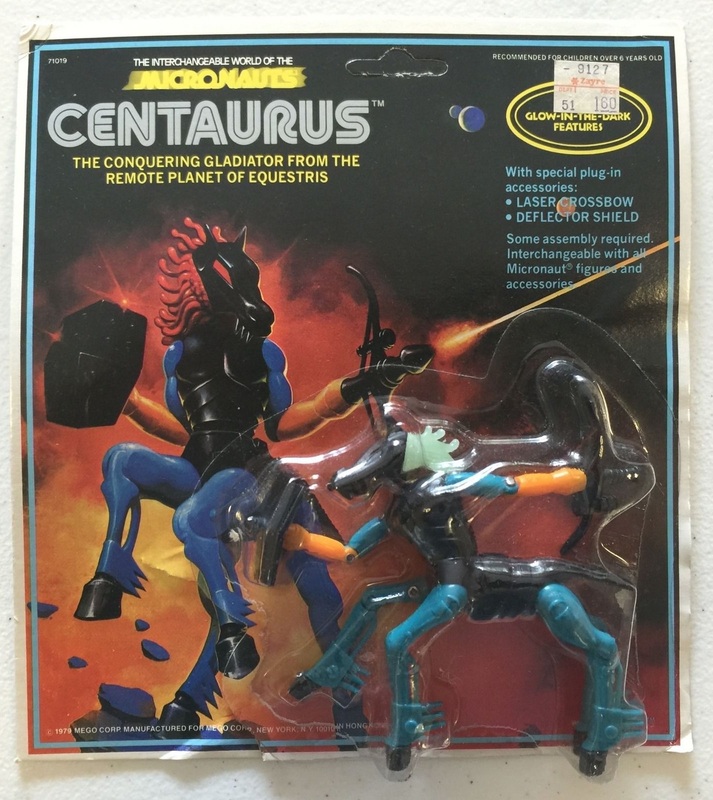 Mego went bankrupt before most of Series 5 could be released, and the toys were bought up by GiG in Italy (GiG also distributed large quantities of Eagle Force and The Black Hole toys) and Lion Rock in the U.S. 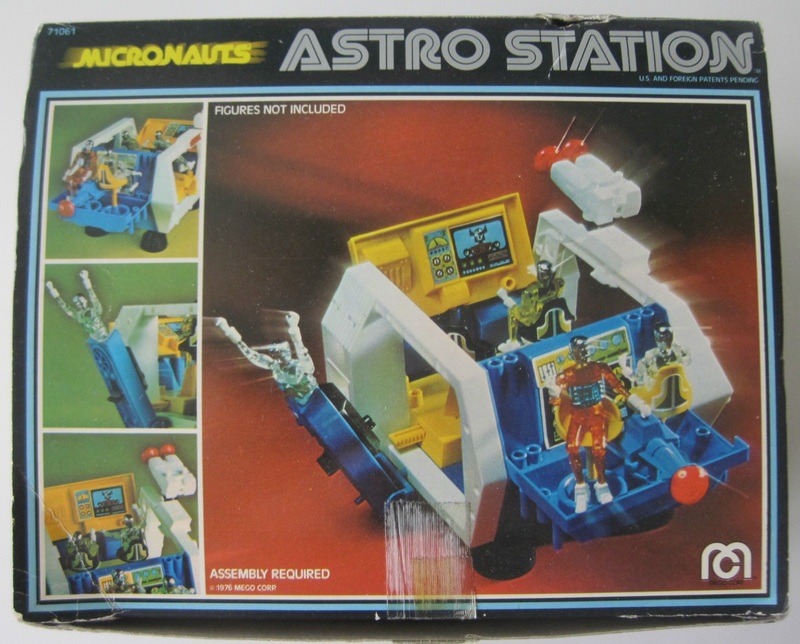 The torso of the Emperor could be detached and put on the body of Megas, as seen at Micro Outpost. It’s interesting that Mego veered into mythology and fantasy for these final ‘magno‘ designs. Had the company invested more in similarly creative concepts, as opposed to banal efforts like The Greatest American Hero and The Love Boat, who knows? The box art is not by Ken Kelly, though clearly his revolutionary style is being copycatted. 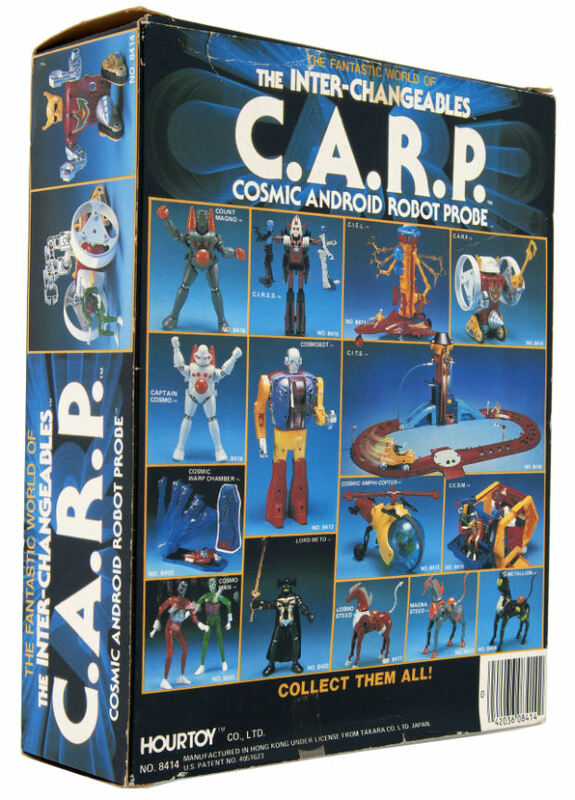 Carded Antron, Membros, and Repto are here. That’s all the aliens except for Lobros. Ken Kelly changed the nature of toy art, and arguably the nature of action figures, with these paintings. Via Chuck’s incredible Micro-Oddities set on Flickr. You go, Space Glider! 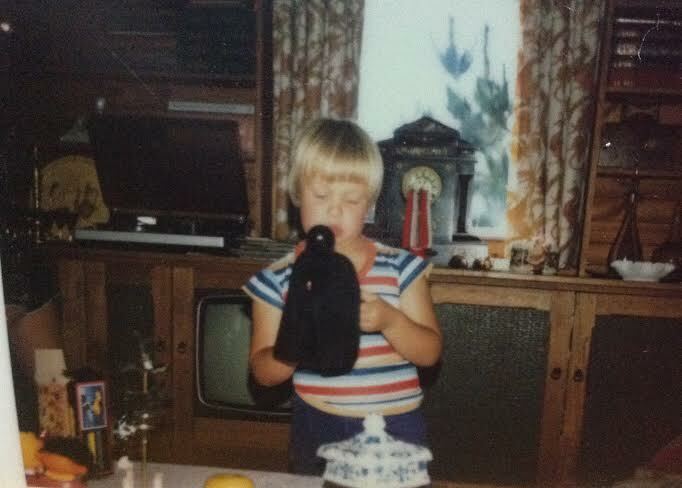 Rick Shithouse sent in this shot of him in Torquay, Victoria, Australia on what he believes is Christmas, 1978. 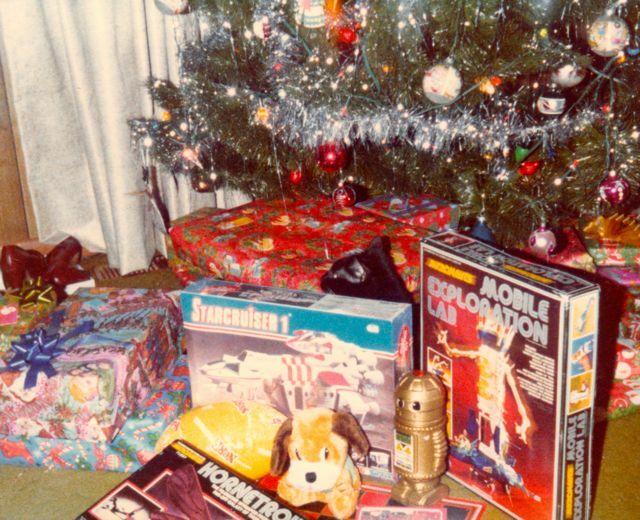 I remember being highly excited as this was my first Star Wars Christmas, and I’m pretty sure I got some action figures and the remote control R2D2. 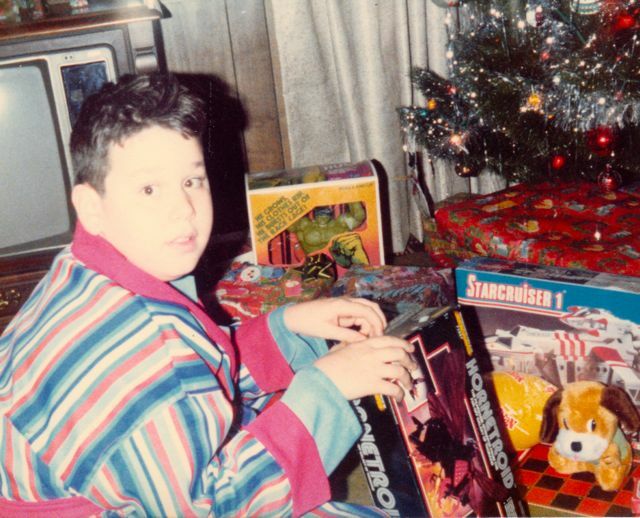 Kind of hard to pick out what else I got that year however, because my birthday’s in early December, so those early years kind of blur between both gift receiving days. 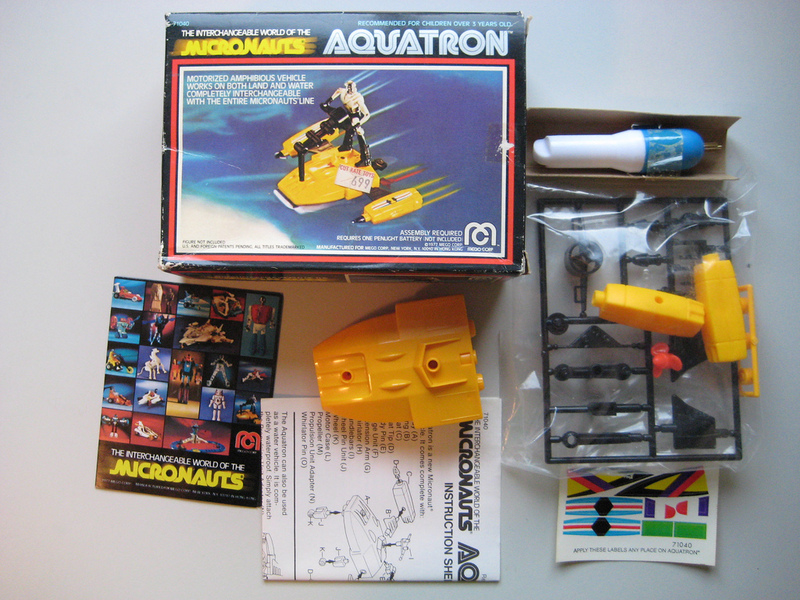 The Micronauts Aquatron is on the table next to him, and I see Bert and Ernie dolls as well. 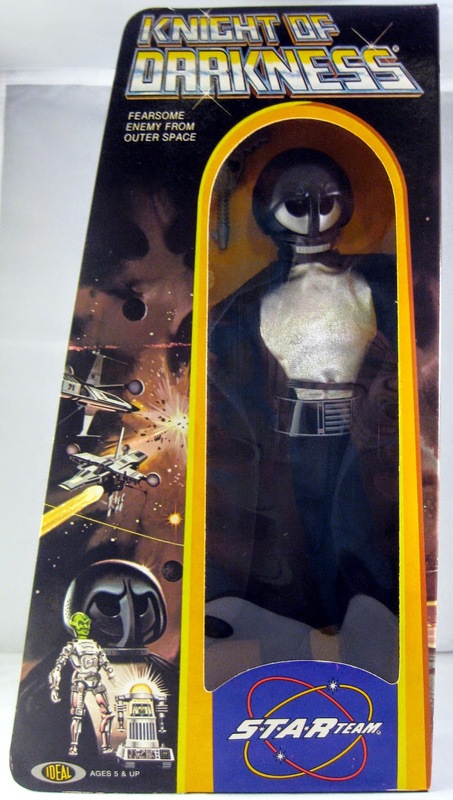 Pictures of the major prizes, via the Star Wars Collectors Archive and all-things-Micronauts collector Chuck, are below. Joseph Dickerson has good taste. 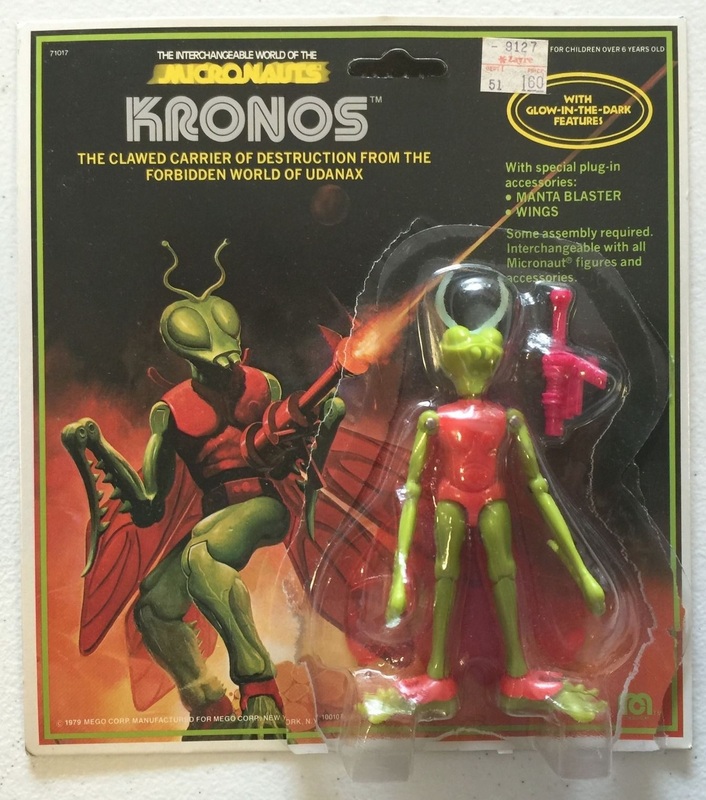 Everyone knows by now how much I love the Micronauts line (Ken Kelly box art on the Hornetroid), and that’s The Hulk Rage Cage (Fun Stuff, 1978) in the background of the first shot. 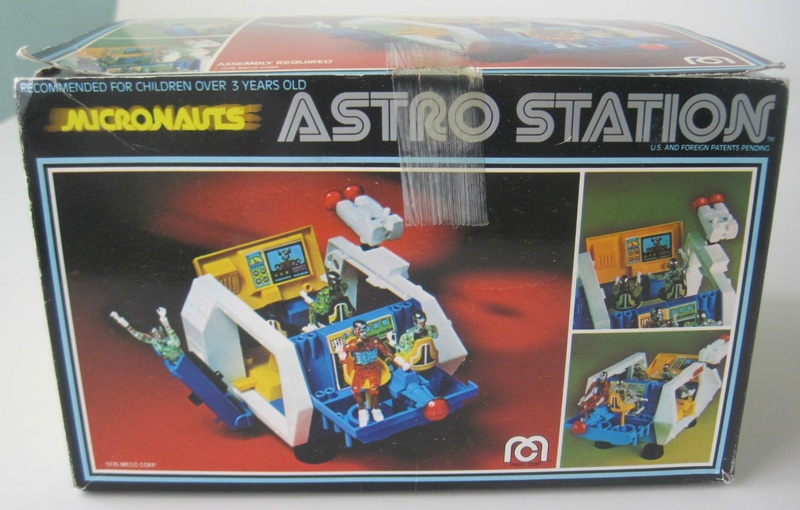 Starcruiser was a series proposed in the late 1970s by Gerry Anderson about “an ultra-modern house where a mother, father, and two kids lived. At the touch of a button the house would literally fold into a spaceship. The family would travel around the universe from planet to planet… ” (See here for source and more background.) The series never made it to the air, obviously, but a comic strip of the same name appeared in UK’s Look-In magazine from 1977 to 1979. The writer and author of the strip was David Jefferis, who was working on Usborne’s World of the Unknown and World of the Future series at the same time. (My interview with Mr. Jefferis will run next month.) 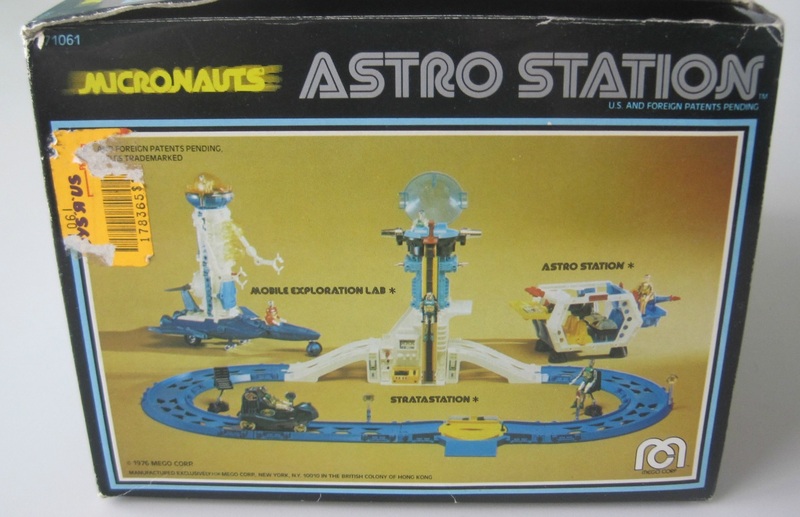 Airfix’s gorgeous model (1979) was based on the strip. 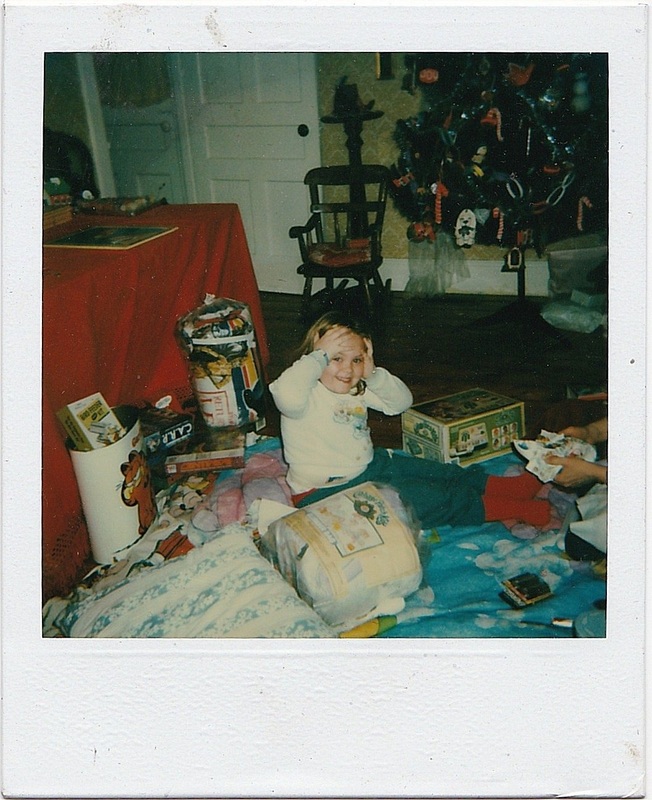 The happy kid has diverse tastes, and a sleeping bag (Cabbage Patch Kids for summer, Return of the Jedi for winter?) for every occasion. I think she’s wearing a Care Bears sweater. Between ROTJ and the Garfield trash can is the Centipede (1983) board game. In a fascinating, sometimes clever, yet ultimately desperate attempt to compete with the new gaming paradigm, Milton Bradley released a number of board games based on popular (and not so popular) video games well into the ’90s, including Berserk and Zaxxon. I don’t know what the C.A.R.P. box is. There’s a bird feeder kit in the trash can. UPDATE: Thank you, Bradley Conrad, who figured out that C.A.R.P. 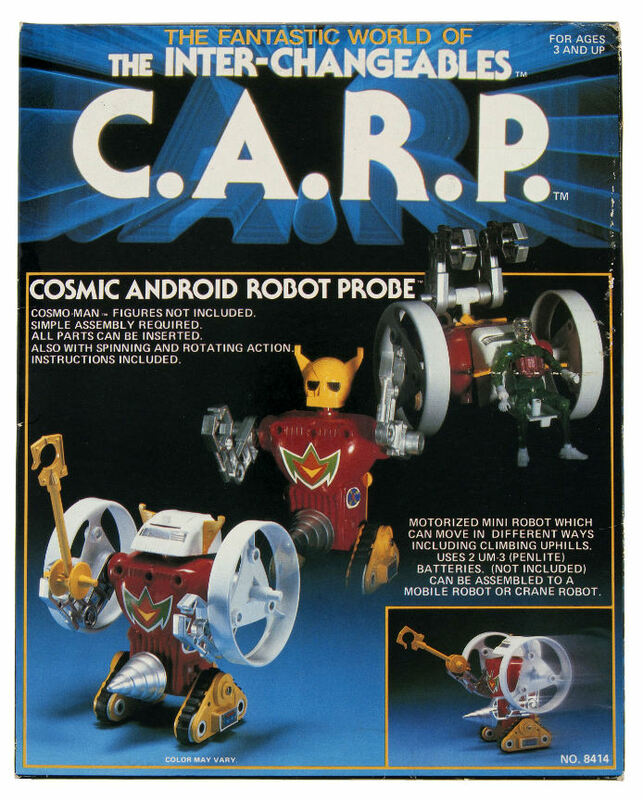 is a Biotron clone (Cosmic Android Robot Probe) from the Inter-Changeables line. 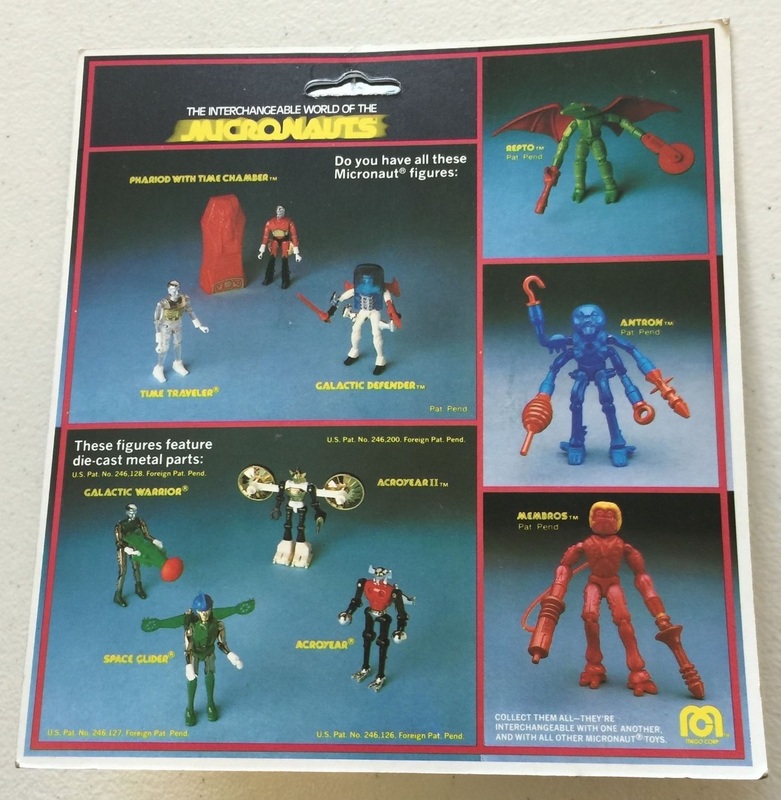 The Inter-Changeables were post-Mego and not technically Micronauts, although many of the molds are identical. 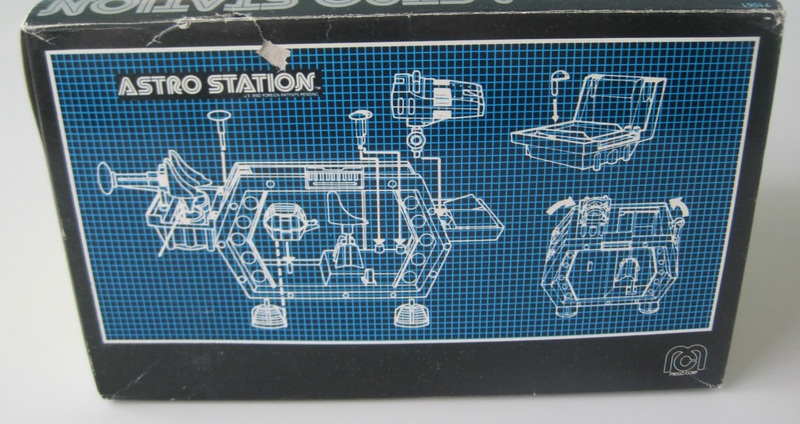 Innerspace Online has the line being released around 1985, but I’m almost positive the photo above is from 1983. (Box images below are via Hake’s.) The title of this post has been updated to reflect Bradley’s great find. 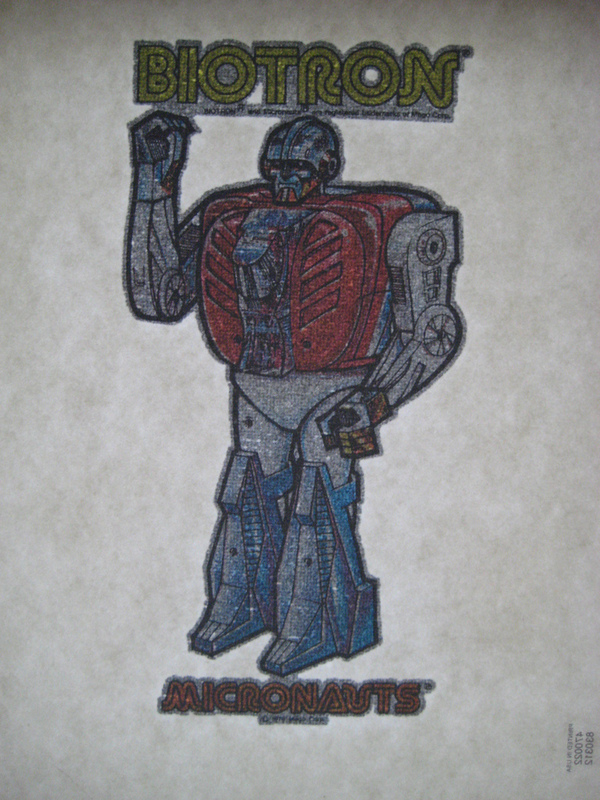 Anyone who wore a Micronauts costume back in the day—by choice—achieved a special geek-pimp status that can never be revoked. 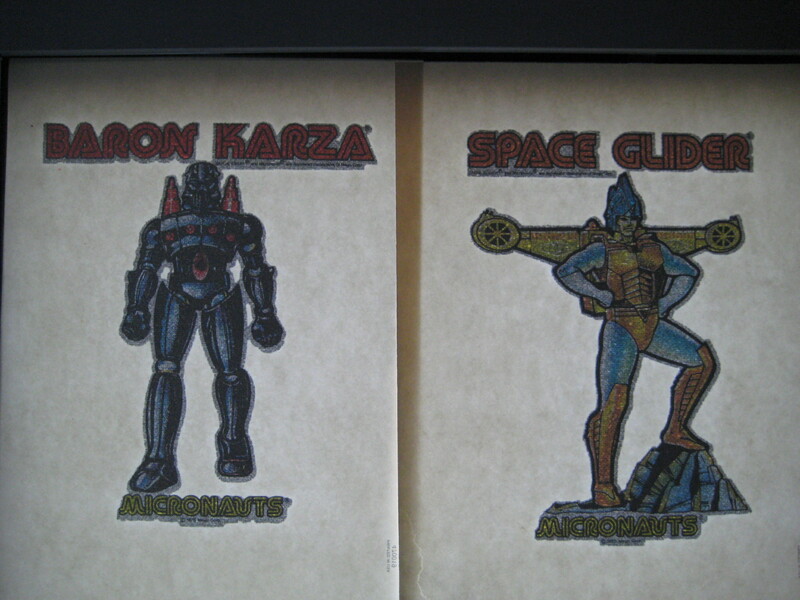 Ben Cooper made two Micronauts costumes: Baron Karza and Biotron. See them both at Innerspace Online. 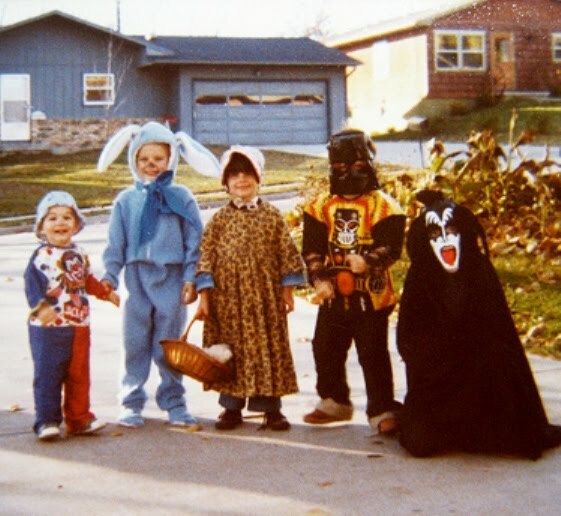 Gene Simmons looked a little out of proportion until I realized he or she was on his/her knees.